Where healthcare IT has been, where it’s going, and how eClinicalWorks is leading the way. 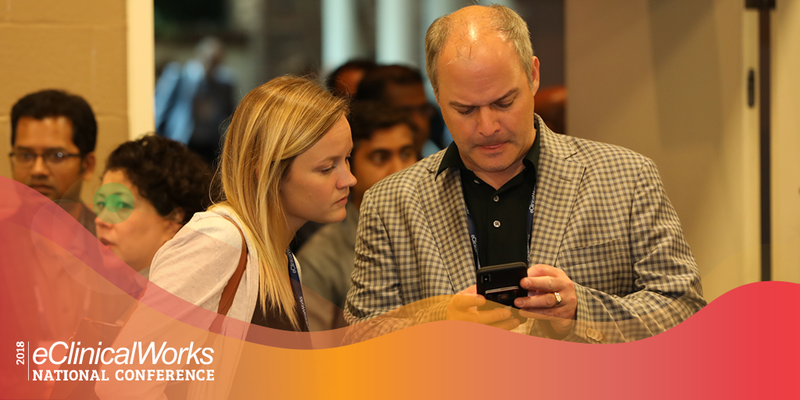 As hot as it was in Nashville today, some of the coolest advances in healthcare IT were on display inside the Gaylord Opryland Resort & Convention Center during the 2018 eClinicalWorks National Convention. The eClinicalWorks National Conference can be a bit overwhelming, with so much to see and do! Day 2 offers customers a chance to really focus on the specific training, products, and sessions of most importance to them. It’s a time to transform your practice! The U.K.’s largest private provider of healthcare will integrate WellWatch™ personal health data into eClinicalWorks. eClinicalWorks will integrate with CMS’ Blue Button®, giving providers access to data for 53 million Medicare beneficiaries. The eClinicalWorks clinical decision support system provides physicians additional safeguards against opioid abuse. The first health information search engine will coordinate information from interoperability networks and payers. Using Join the Network, physicians can easily book consultations with colleagues. eClinicalWorks is giving providers the ability to contact patients with a single click from within the EMR. Matt Cady, Chief Innovation Officer at Florida’s Adult Medicine of Lake County, says that before.. In 1968, Dr. Joel J. Nobel, a surgeon at Philadelphia’s Pennsylvania Hospital, warned.. When Florida medical practices talk about snowbirds, they aren’t talking ornithology. They are..